We aim to make you make the most out of your stay: laugh, learn, taste and discover, but also avoid the tourist traps Prague has become notorious for and discover the overlooked, quirky, bizarre and cozy cafes, hidden bars, alleys and sights off the beaten path. And we can help you do everything cheaply. We have been around for nearly ten years but we like to grow slowly and do things well. For tours and activities we don’t (yet) do ourselves – Segway Tours, Boat Trips, Black Light Theater, etc – we work with partners. Our partners are carefully chosen and all offer excellent value for money and are top-rated in their respective fields. 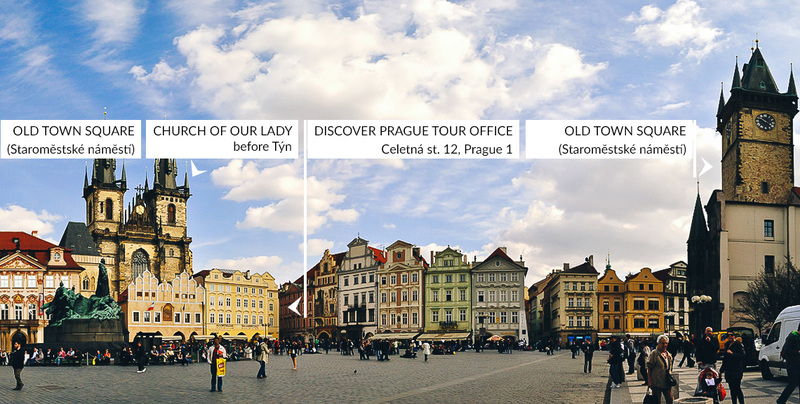 We are based right in the heart of Prague’s historical Old Town (Stare Mesto), sandwhiched in between major 12th-14th century gothic sights and just a few meters off Old Town Square – the center of sightseeing activity in Prague. Our home: in the passage between the Museum of Torture and the Chocolate Museum. Just across the street from Svarovski. You are always welcome to stop by with any questions you might have. We are happy to give you restaurant and nightlife recommendations and help you find whatever you are looking for in and around Prague. For all our tours and activities including everything you can book on this website. We always recommend to book in advance but for most of our tours it is possible to arrive last minute. At the office we can only accept cash (Euros and Czech Crowns) but cash machines are nearby.